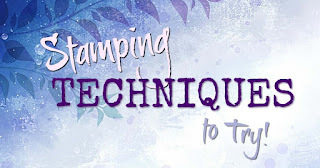 Welcome to another Stamping Techniques To Try Blog Hop. This time we are focusing on the Bordered Sentiment technique. 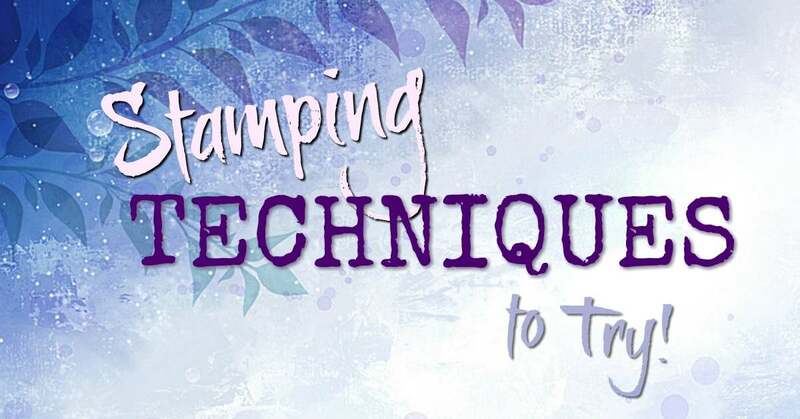 This is such a fun and easy technique that gives striking results every time. It is a technique that can be done by the beginner and also the more experienced. With a wide variety of images that can be used, this technique has wide spread appeal. Here is the first card I made using this technique. You can see with this card, the flowers appear to be going under the sentiment. At first glance you may think that the sentiment is actually a separate piece that has been glued on top of the flowers. But a closer inspection sees that this is a single layer card. Rather than try to explain the technique, I made a video that you can watch below. I had so much fun with this technique, I decided to make another one. This one looks completely different because of the stamp set I have used. Both of them are pretty and both use the same technique. So why not have a go at this technique yourself. I would love to see what you make. Now that you have seen my projects, it is time to see what the rest of the team have made. If you are interested in purchasing any of the supplies I have used on these cards, see the links to them in my online store at the bottom of the page.